Welcome to our Definitely Not Dominion Tier List, Champion ranking of the best Definitely not Dominion Champions. This game mode is almost the same as the regular dominion game mode, except for 3 major changes. Even with these changes, which we will go over later in this. some of the best dominion champions still remain the same from the original game-type. However with less of a focus on mobility and more on objective control. The bottom 2 towers are removed from play, making a total of 3 capture points around the map. A wedge is sealed along the bottom behind walls and a fountain style laser will zap you if you go near those points. This means each team will ALWAYS hold at least 1 point for minion spawning. 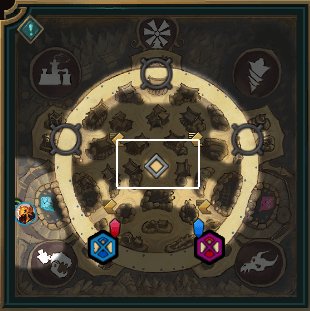 Since running around the map isn’t as much of focus, the best definitely not dominion champions will be more objective control based. 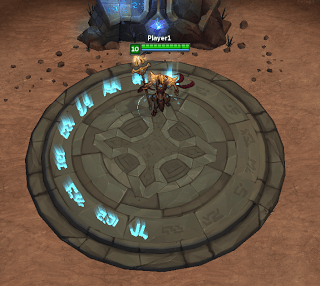 The center Storm Runes have been replaced with an altar that you can capture for a temporary combat buff. The Nimbus Storm buff gives you 3 charges that do 4/5/6% max HP true damage on any spell or attack. While controlling the altar, all allied team members also generate a free charge of the Storm Nimbus every 4 sec while in combat. Fighting over these is where you will need the best dominion champions. Near the sealed bottom 2 points are 2 Ultra Minion Relics, 1 owned by each team. Capturing the enemy team’s Ultra Minion Relic will summon an Ultra Minion for your team in the next minion wave. These are really overpowered in this game mode. They capture WAY faster than any 1 champion, deal out tons of damage and are very tanky. Some of the best dominion champion pick in the past were great at sneaking the enemy’s relic and capture points. Those same picks are also the best definitely not dominion champions as well. Definitely Not Dominion Tier List Guide to the Best Dominion Champion Picks. 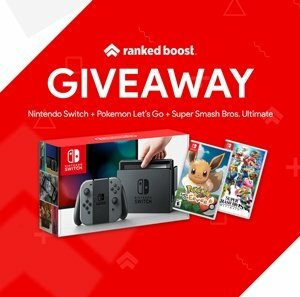 Ranked from S-Tier having the Strongest Champions, while F- Tier are some of the weakest picks. Are you ready to declare dominion over your enemies? The best Definitely Not Dominion champions are mostly those with fast travel times since gathering and capture are a lot of what this game-type is. Picks like Sona, Hecarim, Quinn are among the best definitely not dominion champion picks, mostly due to their speed on the map. Traveling to the capture point is only half the battle, the other half is taking it. This is where Nidalee, Rek’Sai, Singed are both really strong at capturing and defending. For the most part, the best definitely not dominion tier list champions are also the most annoying. However, there are Dominion champions like Fiddlesticks, Katarina, Master Yi who do very well in this game-type. Q – Deceive: Shaco’s Deceive is a ability that makes chasing shaco almost as worth as chasing singed…. W – Jack in the Box: This ability is one of the best within the Dominion tier list, making shaco one the best definitely not dominion champion bans. planting boxes near towers or bushes will give your team a huge advantage in-game. Q – Poison Trail: if singed has enough AP this one spell can be the reason your team will wins the game. 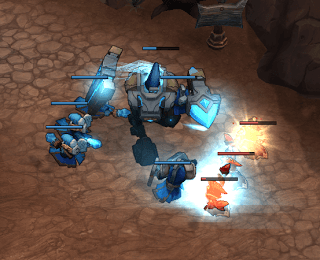 The enemy team has no chance of capturing the tower, if you get tanky enough to run around them with poison trail. Summoner Spell – Ghost: Already lot of players are using this summoner spell on definitely not dominion champions. This spell however is a must have on singed to make him even more annoying and one of the best in this dominion tier list. R – Noxious Trap: They call em the spawn of satan for a reason. This spell is the main reason teemo is one of the best dominion champion ban within this Definitely not dominion tier list. Q – Javelin Toss: High damage long range reason for the enemy NOT to stand still capturing the tower. Nidalee is another one of those annoying definitely not dominion tier list champions. W – Pounce: This mobility along with your passive movement speed from bushes, will make it very hard for the enemy to catch you. Q&R – H-28Q Apex Turret: This is the UPGRADE of H-28G Evolution Turret, placing this overpowered turret can pretty much win the fights needed for tower control. This makes heimerdinger one of the Best Dominion Champions for objective control. Q – H-28G Evolution Turret: Mini turrets along with the tower damage, will make it difficult for the enemy to even begin to capture the objective you’re protecting. Q – Powerball: This will give you both the mobility to catch enemies and sneak Ultra Minion Relics on the enemy side of the map. Rammus has been known to struggle during lane phase since there is no lane phase in the definitely not Dominion game mode. You’ll gain gold passively this allows Rammus to become one of the best Dominion champions. W – Aria of Perseverance: Not only can Sona do plenty of damage to help the team out, but she also has the ability to keep them healed up. Healing is a valuable trait in any champion in almost every rotating game mode. This along with her damage is one of the main reason Sona is one of the best Dominion Champions. E – Song of Celerity: Providing increased mobility for your entire team in this game mode has tons of value since your team will be running around the map the majority of the time. This along with sona other ability helps secure her a high ranking position in this dominion tier list. Passive – Shadow Walk: Evelynn ranks among the highest in this Dominion tier list due to her passive. This can help you sneak Ultra Minion Relics and even assassinate Weak champion in the enemies back line. Evelynn is one of the best dominion champions thanks to her influence on the map.